Dowlatabad garden is among the most beloved and iconic landscapes of Iran with distinctive properties, picture-postcard views of water stream and the historic Persian pavilions. 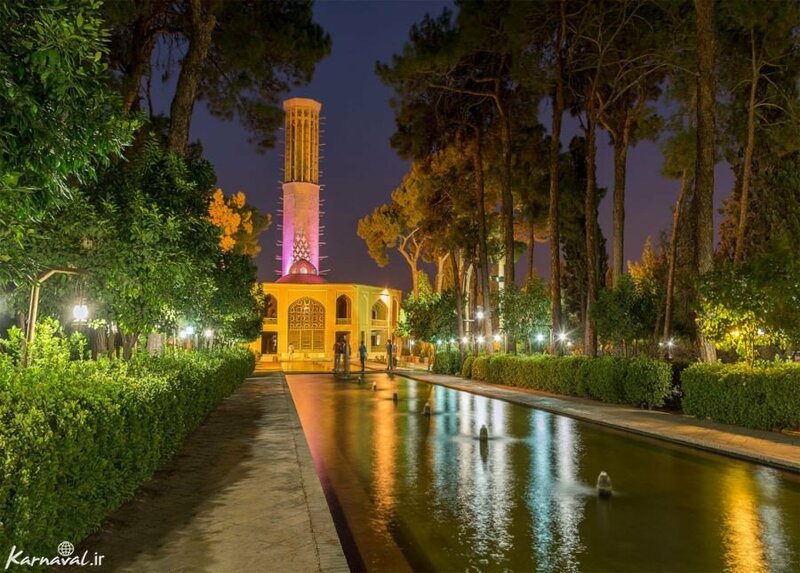 The garden, which spans an area of 72,000 square metres, attracts a wide range of visitors to offer a memorable glimpse on the coexistence of ancient history and beautiful nature. 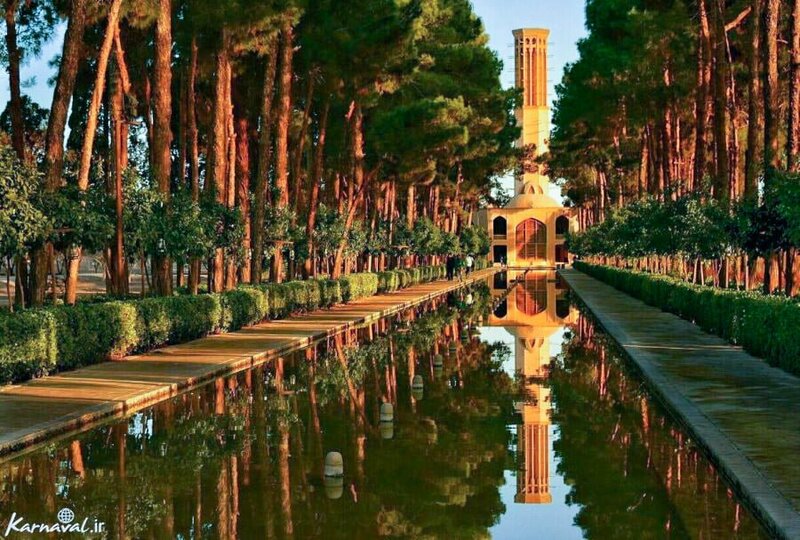 This is one of the nine Iranian gardens listed in the UNESCO’s World Heritage List under the common title of Persian Garden. 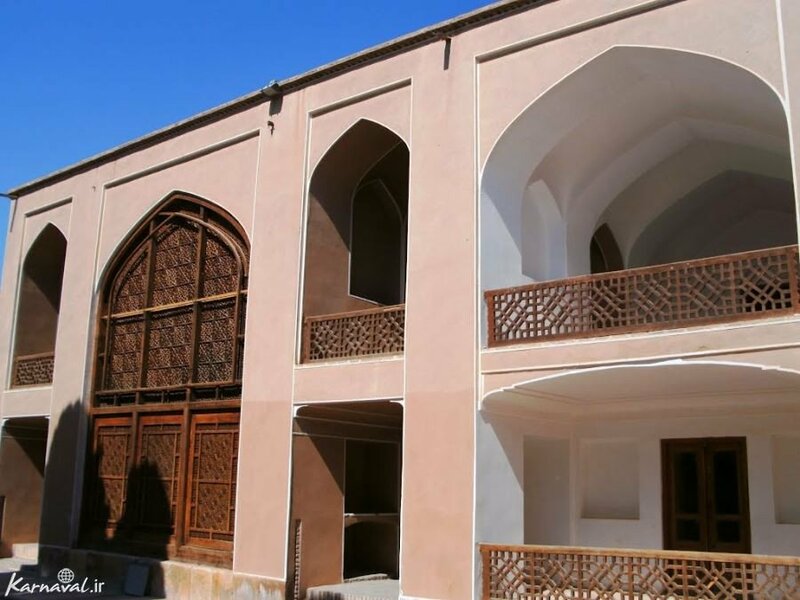 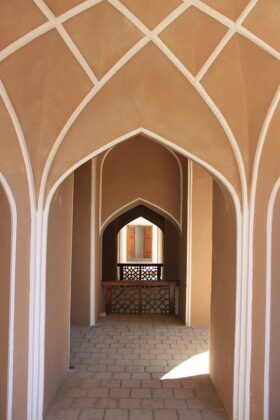 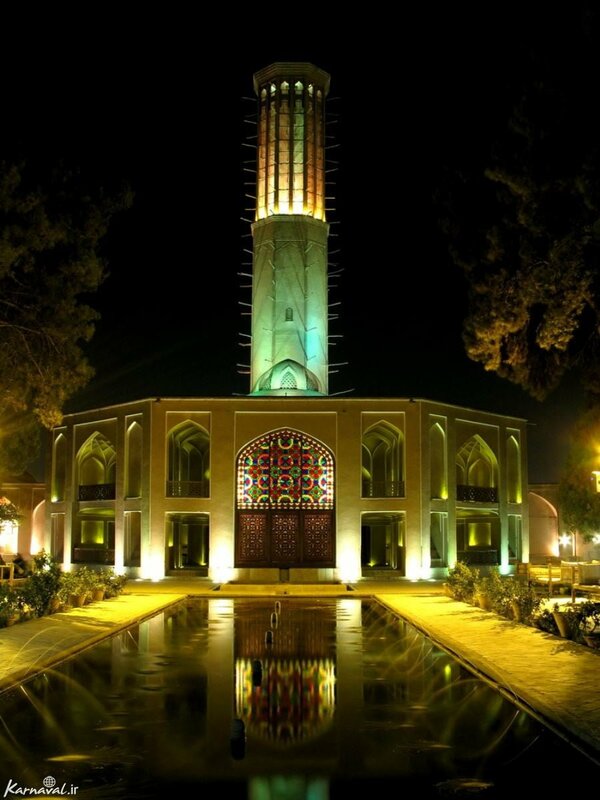 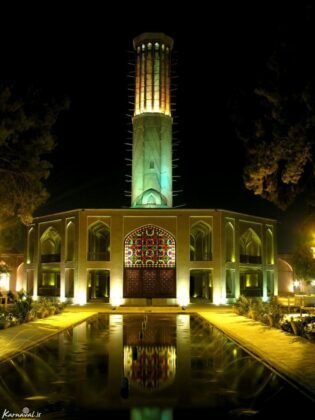 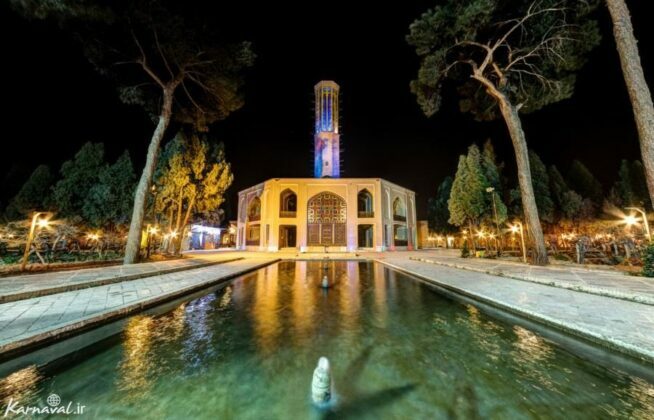 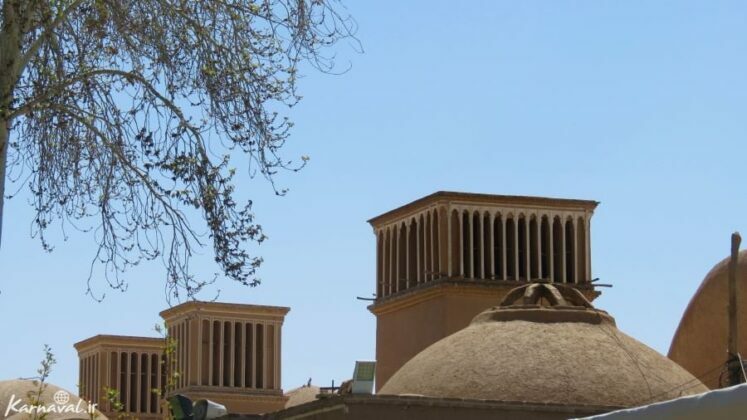 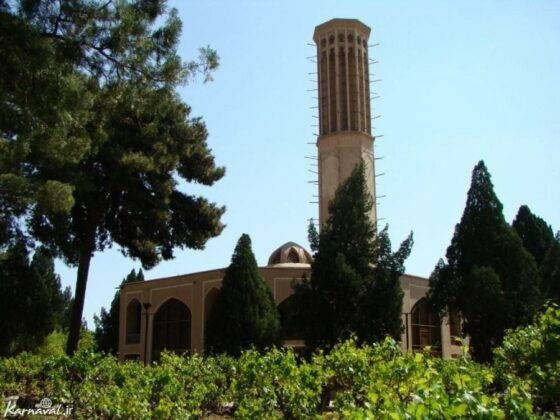 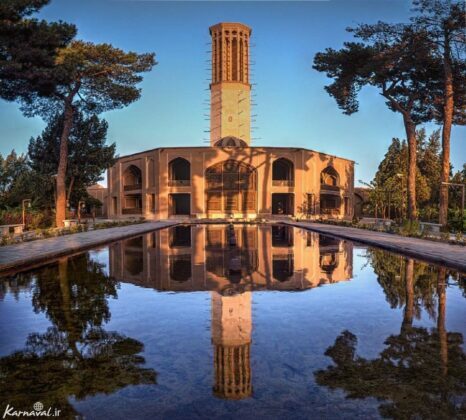 The garden was built about 270 years ago as a residence for Mohammad Taqi Khan, also known as the Great Khan, who governed Yazd in the 18th century. The complex has been built according to the original Iranian architectural style and consists of a large garden and a number of buildings. 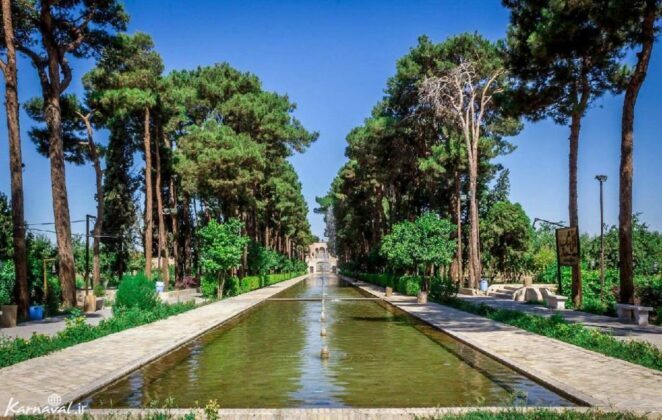 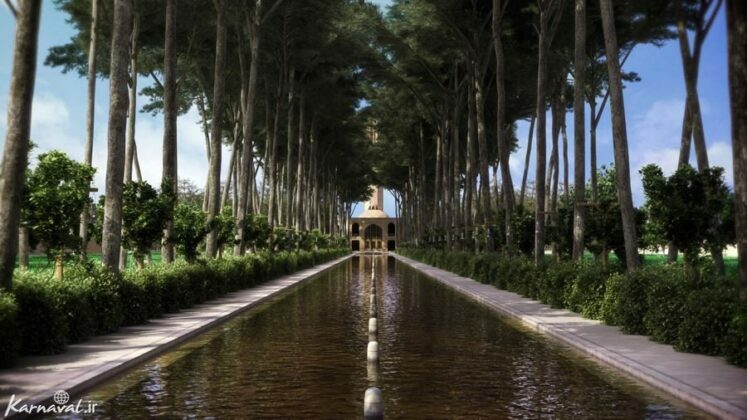 Like other Persian gardens, water plays an important role in the ornamentation of the Dowlatabad garden. There are several qanats, waterways, and ponds within the garden. 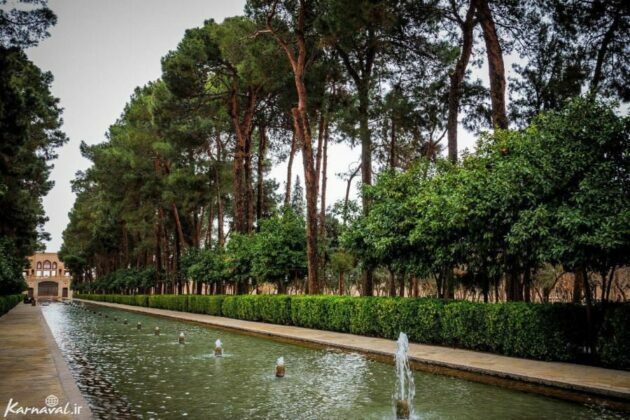 The lush garden is a paradise where different trees like pine and cypress, various flowers like roses and fruit trees like grape and pomegranate abound, offering a green carpet panorama. 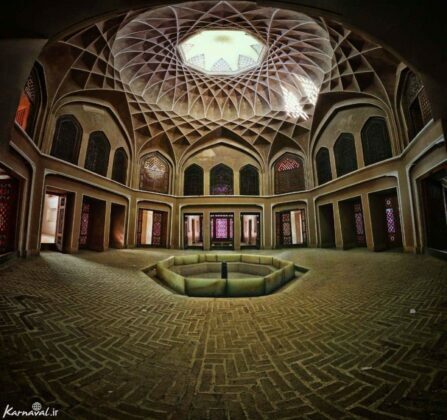 This complex includes a southern frontispiece building, a vestibule building and a wind catcher, a summer building, Behesht (Paradise) building, a mirror hall building, the Tehrani building, the main frontispiece building and a double-spanned water cistern. The soaring 34-metre-high wind catcher, the highest one in Iran, makes the estate really unique, creating a spectacular vista. 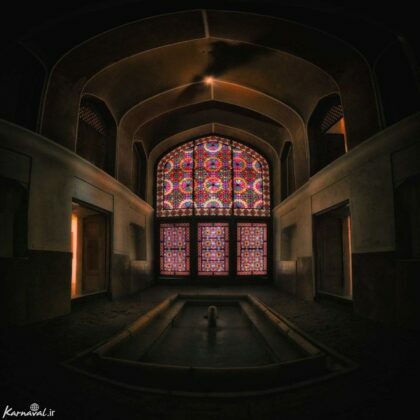 Dowlatabad’s famous wind catcher has octagonal panels that guide the wind inside the building.